So after Thanksgiving there're always leftovers to deal with. 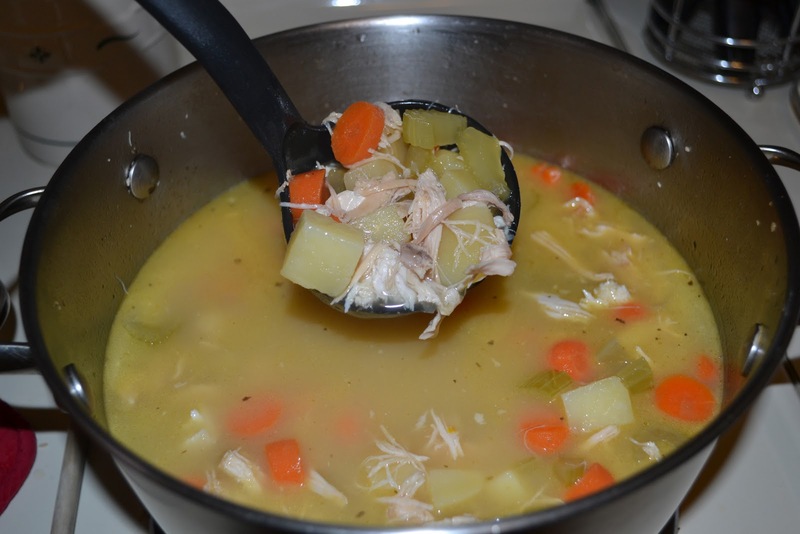 For me, I actually take care of the leftovers on Thanksgiving Day and the day after by making Turkey Soup. It's great comfort food and just the right thing on a chilly night. Or even when you're feeling less than perfect. For Thanksgiving, I baked my turkey breast in an oven-safe pot. 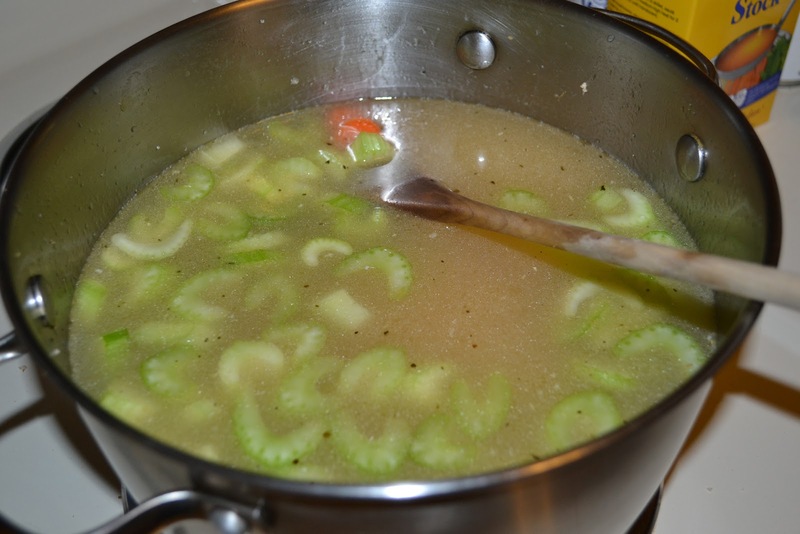 After the turkey is finished and dinner is over, it's time to make the soup. I make sure I get the majority of the meat off, but leave some on the bones. 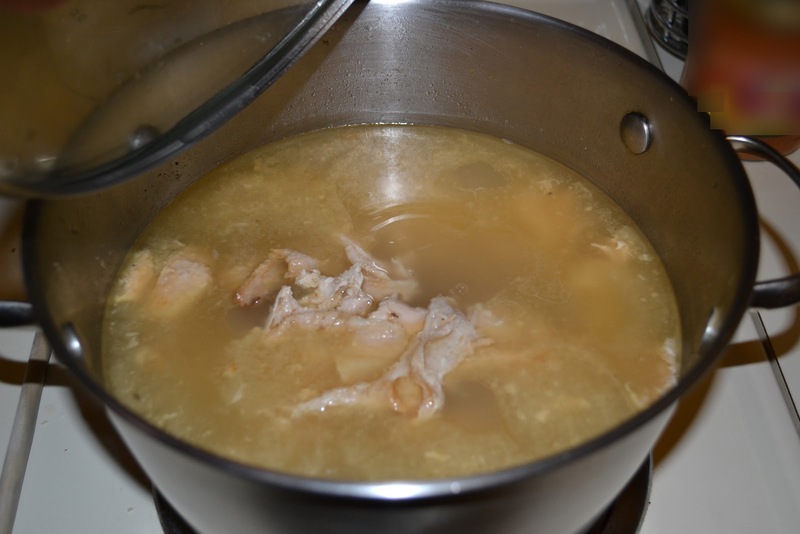 After returning it to the pot, I add enough water to just cover the bones and turn the temperature up to medium. I let the turkey boil at a medium temperature covered for at least three hours, stirring occasionally to keep it from boiling over. If it's late enough in the evening, I'll turn the temperature down to low and leave the lid on the pot. 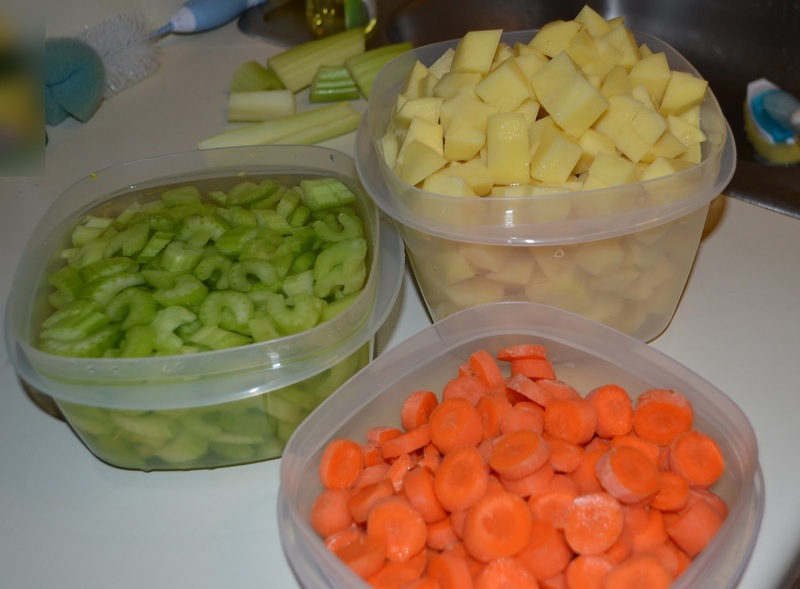 While the turkey is boiling, I peel the potatoes and cube them, chop the celery (I put water in the bowl with the celery to keep the slices fresh), and slice the carrots. Then I set the vegetables aside. 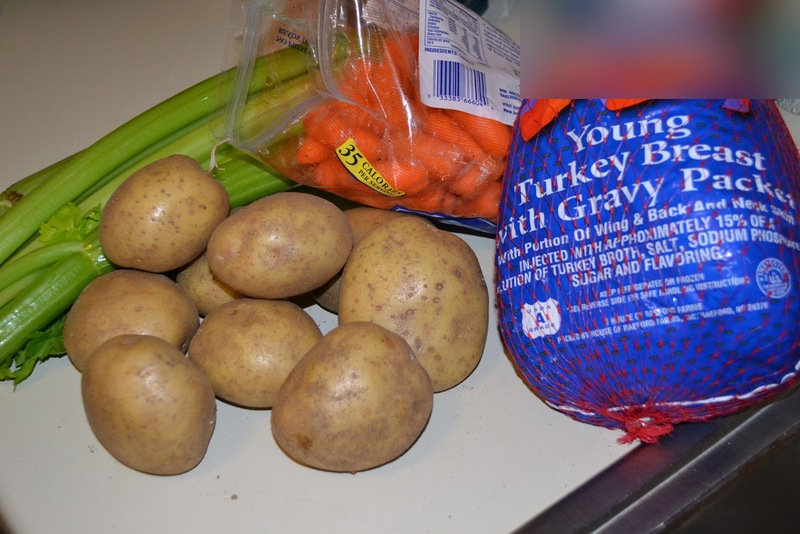 While the turkey remains cool, I pour the stock back into the pot, add 1-2 cups of chicken stock, salt, pepper, and the prepared vegetables--celery, carrots, and potatoes, and let it cook. 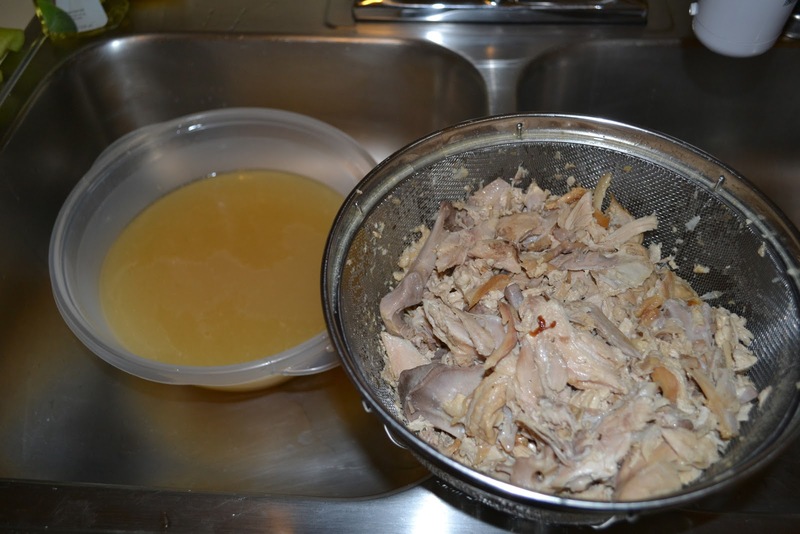 I carefully separate the bones, skin, fat, and meat, then tear the chunks into small bite-sized pieces before I add the meat to the soup. I let the soup cook for several hours until the potatoes, carrots, and celery are soft. After I enjoy a bowl or two, I carefully fill several containers. I put one or two of the containers into the freezer and leave a couple in the refrigerator for lunches over the next week or so. I have to admit, I love to make soup during the holidays, because it's great to heat up a bowl and snuggle into the couch and watch a great movie.